The General Secretary of the Dutsch Reformed Church (DRC), Gustav Claassen visited Hungary. In his speech at the Synod he emphasized: simirarly to the Reformed Church in Hungary DRC is also continously trying to find the answer to the question of what it means to stay true to the Reformed confessional basis amidst changing contexts. The South African church leader mentioned three practical examples. In November, Klaunba Social Services Ltd. hosted doctors from the emergency medical team of the Hungarian Reformed Church Aid (HRCA) and offeren free health check for Kalunba beneficiaries. In celebration of the completion of major restoration, the Armenian Evangelical Emmanuel Church held a rededication service on 2 December 2018 in Aleppo, Syria. Hundreds of worshippers were present, as well as high-ranking religious, community, and state leaders. The RCH also shares this joyous celebration in spirit. Encourage your friends to visit our website or follow us on Facebook and sign up for our newsletter here. 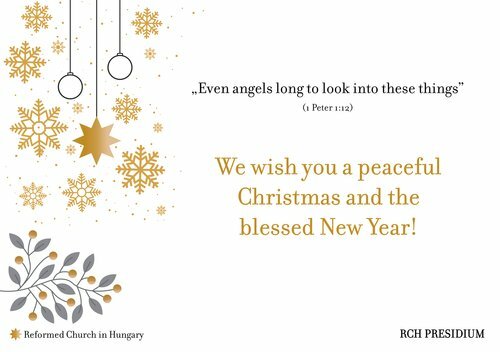 If you no longer wish to receive newsletter updates from the Reformed Church in Hungary, unsubscribe here.